Training Tools From the Fringe: Success or Failure ? Innovative inventions for specific situations – and their many and varied claims. A small number of equestrian innovators have taken that cliché one step farther and turned their inventions for a specific situation into a manufactured product. The names are imaginative and the claims are many and varied. “Saves training time” is claimed by one company, “easy to use for all abilities” by another. These products are primarily available on line; if tack stores carry them, they are unwilling to admit it (perhaps a secret password is needed to be granted access to the ‘special tools’ section). Reputable trainers likewise do not endorse many of them, although of course that doesn’t mean no one uses them. Someone is buying these products, otherwise they would not have websites and online order forms that accept Visa and Paypal. Every once in a while, a product breaks through and becomes hugely successful, embraced by the equestrian industry as a safe and legitimate training aid. But for every Myler bit and Pessoa Lunging System there is a tangled heap of training devices that don’t take off – sometimes for very good reason. 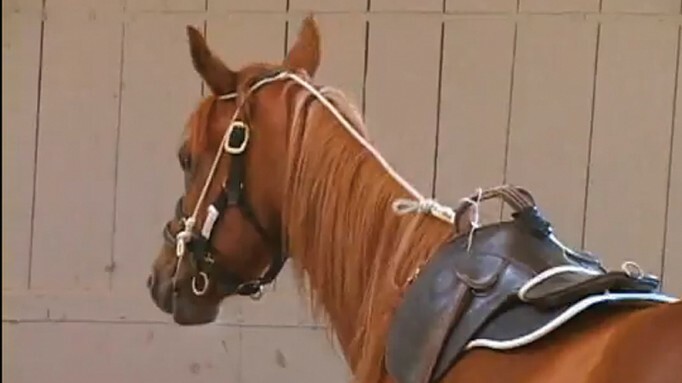 For those who might argue that the rope is causing harm to the horse, he says “the worst I’ve seen is a little red line under their lips.” The horse does indeed stop trying to buck off the dummy rider when she hits the rope in her mouth, but the video stops short of the moment when Monty’s assistant actually gets on. A forum thread on newrider.com contains a few comments in support of Monty’s methods, but more common are those that don’t approve of the Buck Stopper: “Not very natural horsemanship, is it?” says one. The Humane Headsetter, would at first glance appear to be intended for western riding to achieve that desired low headset, but it is purported to be good for any horse during lungeing. 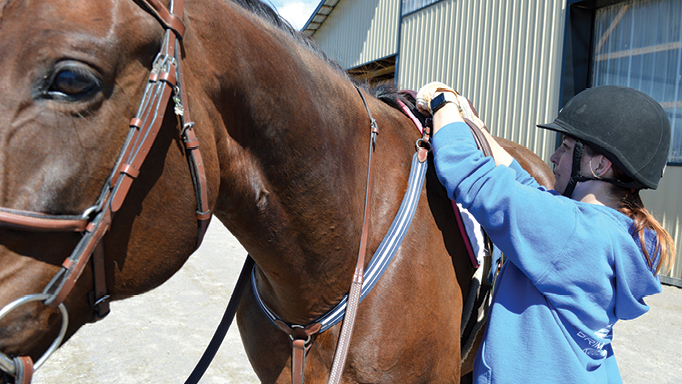 Depending on how it is attached to the tack, it’s not fundamentally different to side reins. The main innovation is that instead of two straps attached separately to each side of the bit, the Humane Headsetter’s two straps connect to the horse’s mouth by way of a rubber connector which clips onto both sides of the bit (think of a rein converter on a Pelham bit). Attached to the rubber connector with a loop of thin cord, the straps maintain even tension on each side. The time-saving advantage is that no adjustment of the Humane Headsetter is needed when the horse changes rein on the lunge line. Of course, if a horse decided to counter-flex on the circle, the Headsetter would “self adjust” to that position, too. British show jumper John Whitaker has designed a training aid using elastic cord as well. Simply named, Training Reins run from the girth up between the front legs, through the bit and over the head. Pressure is increased on the poll as the horse raises its head. Comments on internet chats are considerably less condemnatory of these two training aids compared to the Humane Headsetter, perhaps due to the big names associated with them – it could also be due to the fact that the elasticity of the bungee cord is perceived as gentler than other non-elastic materials. Another bungee-inspired device, the Dura-Tech German Elastic Headsetter, is a very fancy name for a single piece of elastic cord with a clip at each end. It runs from the poll down through the bit rings and adjusts to a girth or lunging surcingle. If the horse pushes up or leans on it, there is pressure on both the mouth and poll – creating a kind of gag effect. Makers of the HorseHugger Training System (horsehugger.net) claim that the aid will ‘strengthen’, ‘engage’ and ‘build topline.’ A simple but bizarre-looking apparatus, it is composed of a wide strap that makes a figure-eight around the horse’s neck and hind quarters (crossing over at the withers), with an adjustable leather section in the part that goes around the back legs. An instructional YouTube video (http://www.youtube.com/watch?v=jk7k4R8CBUk) fails to effectively demonstrate how these goals are achieved. In the video, a dressage rider is on her horse while a man (who may be Puerto Rican trainer Luis Reteguiz-Denizard, the HorseHugger’s inventor) follows her with a whip. She asks her horse for some halfsteps and is successful, but the noise and contact of the man’s whip on the horse’s rump look like a far more powerful ‘aid’ than the HorseHugger. “I hit him harder because he was like, ‘whatever man’,” says the trainer. The video, in which the rider passes inches away from two reclining dogs at the edge of the ring, does less to promote the product than to send alarm signals about safety and good training practices. Like so many ‘new’ products, the HorseHugger is not actually an original concept, but a modification of older devices, such as the Body Wrap, which was created by TTEAM’s Linda Tellington-Jones a number of years ago. The company StopThatHorse.com has taken on every behaviour problem known to horses with their line of training aids – from bucking and rearing to stroppiness while being led. Some of the tools are unoriginal to the point of being unique in name only. The self-explanatorily named RearStop, for example, is just a tie-down. The BuckStop is a more creative invention. It incorporates the idea of a check strap that is fixed to the pommel and runs along the top of the neck; it then extends down the horse’s face and attaches with a harness to each bit ring from the top. The action that would be created if the horse attempted to buck is unlike any bit pressure exerted by the rider, since the pressure will be upward, toward the horse’s upper jaw. In addition to warning people that all training devices should be used only by “experienced horse people, trainers and instructors,” the StopThatHorse website states that it “cannot be held responsible for any misuse of the equipment or for accidents or mishaps that occur through the sometimes extreme and unpredictable behaviour of horses.” It’s not a very reassuring message from a company that claims to specialize in solving dangerous habits in horses. Gadget, gimmick or legitimate training aid? In these days of bitless bridle advocates, everything from spurs to a flash noseband can be considered an aberration from the path of truly humane training methods. But the proliferation of products that claim to make training a horse safer, easier or faster is evidence that there is still a large market for new training aids. The success or failure of these devices may in fact be tied more to the fame of the trainer who created them than to any other factor. 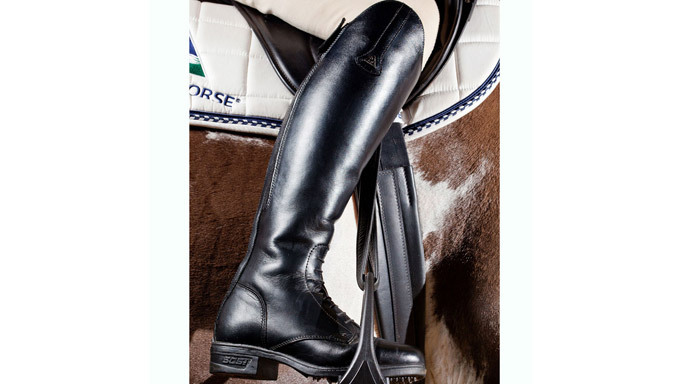 When purchasing a new riding boot, fit (really, really) matters. 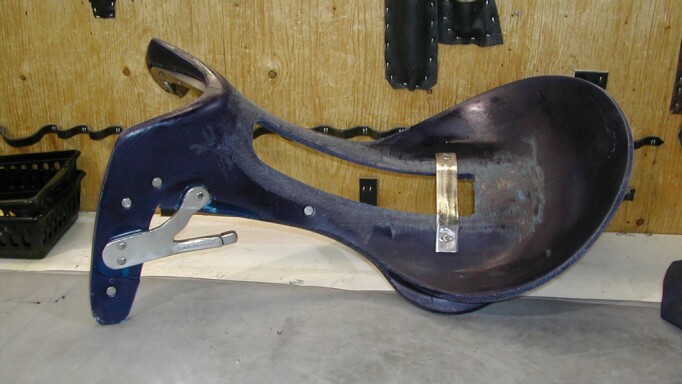 Solve saddle slipping woes with correctly fitted breastplates and cruppers. 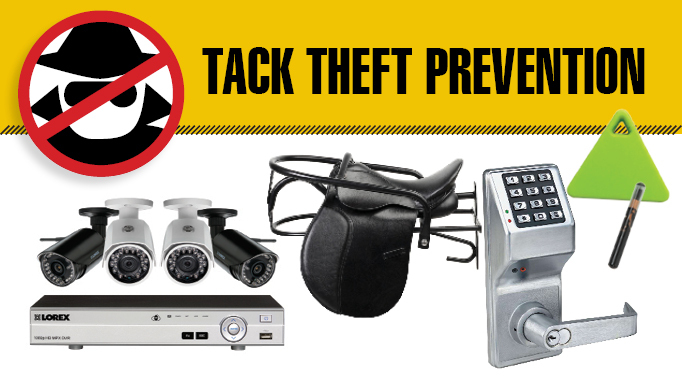 High and low tech ways to keep your tack safe.